The doctor understood my issues, and more importantly understood that I had done research, so he didn't try to over explain.That is usually a good thing, but not when you have taken the time to investigate your issues, the doctor, and the solutions. We were able to have a very frank discussion, without all the fluff. The doctor understood my issues, and more importantly understood that I had done research, so he didn't try to over explain. That is usually a good thing, but not when youhave taken the time to investigate your issues, the doctor, and the solutions. We were able to have a very frank discussion, without all the fluff. Dr. Musy was professional and thorough. The staff was very nice and friendly. The office was clean and pretty. There arebig windows in the waiting room with a view of the sky and tree tops. I have a treatment plan to follow and an appointment with a voice specialist. I feel like I’m on the right road to recovery. Dr. Musy was professional and thorough. The staff was very nice and friendly. The office was clean and pretty. There are big windows in the waiting room with a view ofthe sky and tree tops. I have a treatment plan to follow and an appointment with a voice specialist. I feel like I’m on the right road to recovery. Dr. Musy practices surgical and medical management of a variety of ear, nose, and throat problems. 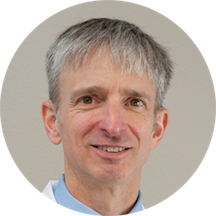 He has a particular interest in sinonasal problems, and cares for both adult and pediatric patients. ON A PERSONAL NOTE Dr. Musy grew up in the suburbs of Kansas City, leaving in 1985 to attend the University of Florida. He practiced ENT in Montana for six years and Washington D.C. for five years before joining Florida E.N.T. & Allergy. I’ve saw another ENT in 2017 and wasn’t impressed at all so I started going to see Dr. Musy! I really like Dr. Musy as he is willing to get to the bottom of my issues and not dismiss them! Heis very patient and kind! I feel very comfortable talking to him! Very knowledgeable. Recommend. Very understanding. It was ok. He still has tests to run to determine the problem. Only time will tell on what I rate him. AWSOME..HES GREAT WITH KIDS.. RESPECFULL AND VERY PROFESSIONAL..BEAUTIFUL STAFF..HIGHLY RECOMMEND.